DO NOT MISS THIS GARAGE SALE!! I was helping to set up for this Garage Sale last night and got a sneak peek at some of the items being donated for this event. I could not believe it - it really is one-of-a-kind (some brand new items!!) and all to support Habitat for Humanity's local families in the Lower Mainland. 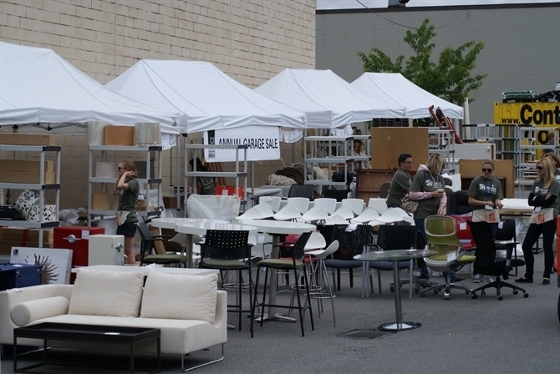 Habitat for Humanity, in partnership with the Interior Designers Institute of British Columbia (IDIBC), will present the fifth annual DESIGNfinds Garage Sale on Sunday, June 23, 2013. The new North Vancouver ReStore, 126 Harbour Avenue, will play host. DESIGNfinds is an amazing one-of-a-kind garage sale where Interior Designers Institute members and exclusive industry suppliers donate new high-end products, showroom samples and gently used items for a one-day sale extravaganza. All proceeds benefit Habitat for Humanity Society of Greater Vancouver to help Build homes for local families in need.